This Gift Card is valid for a period of 1 year from the date of issue. 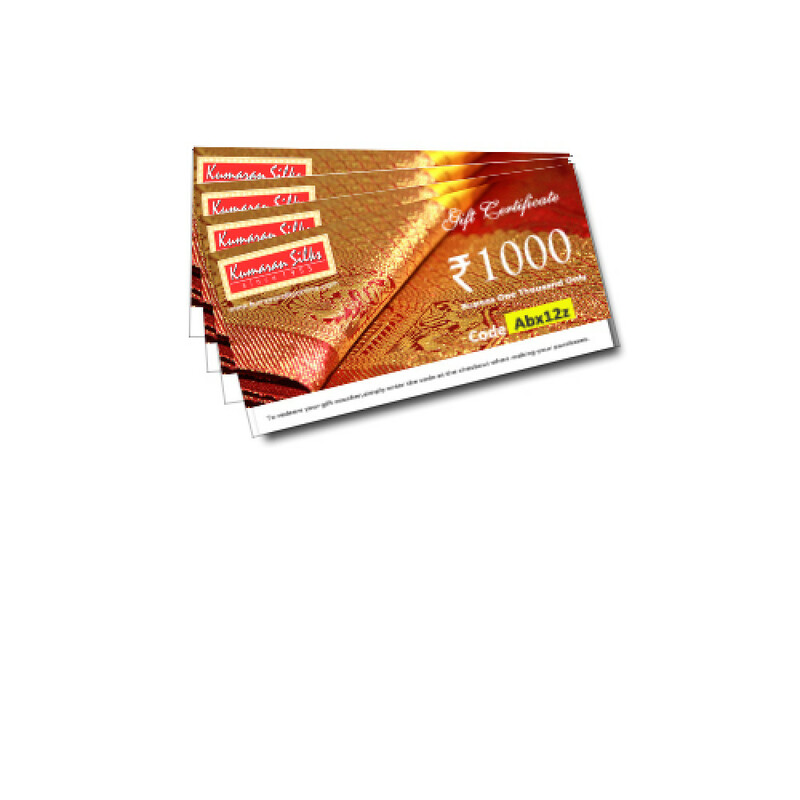 This Gift Card can be only be redeemed against purchase of any product available at the Kumaransilks Online store (www.kumaransilksonline.com) only. Multiple Gift Cards can be used in single transaction and Gift Card can be redeemed multiple times. This Gift Card cannot be exchanged for Cash/Gift Cards/Credit Notes. 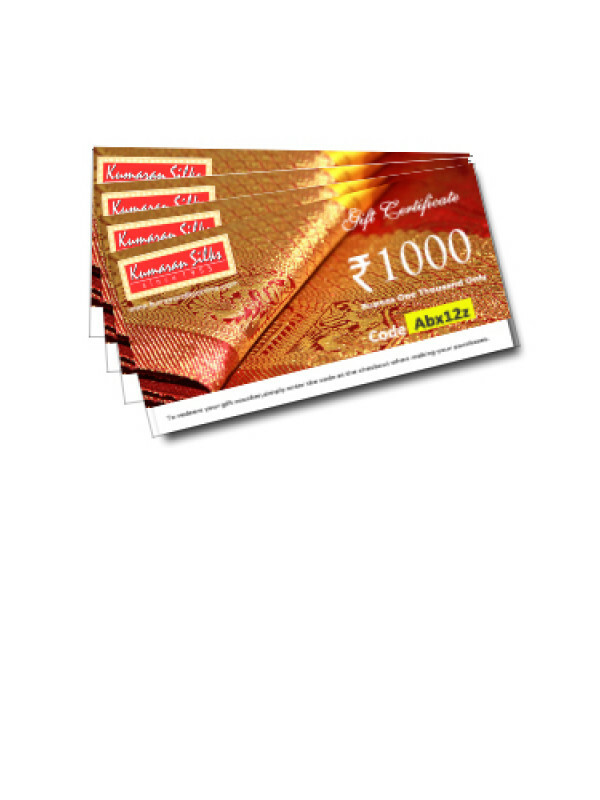 Gift Card cannot be redeemed at Kumaran Silks Store in Chennai. Gift Someone You Love Instantly ! An artful combination of comfort and glamour, this plush and trendy up holster collection is ideal f..